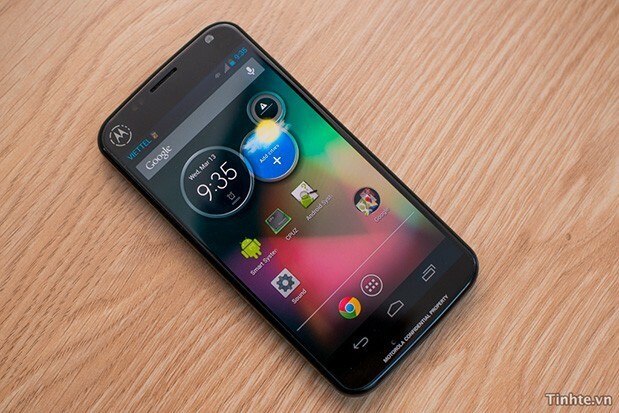 An mysterious Motorola phone has leaked out, and it really shows Google's influence over the software. Carrying the XT912A model number, the folks at the Vietnamese site Tinhte are quick to tell us that they are sure this one isn't the rumored X Phone based on the screen size, but it does have some impressive specs -- a 4-inch 720p screen, Qualcomm Snapdragon S4 Pro (possibly better) CPU, an Adreno 320 GPU, 2GB of RAM and a 2,000mAh battery. The back is beveled and very thin at the edges, with a non removable plastic battery cover. They also note that the speaker holes lack the precision you would see from a phone like the Lumia 920 or the HTC One X. Probably the most important thing to note is the mostly stock Android 4.2 experience the video shows us -- lock screen widgets and all. It certainly looks like a 4-inch stock Android device. That should make plenty of folks happy. There's a four minute video after the break showing it all off, be sure to have a look.